Anyway, everybody, except people living under rocks and holes in the ground, knows that China is thé market in the world to make automotive executives keep (part of) their bonuses. There isn’t a single Western carmaker that isn’t active in the country and there’s a clear reason: the Chinese are buying cars like we buy cans of baked beans in supermarkets. And they like a good Western set of wheels too. No, I didn’t accidentally say ‘good’, because the native Chinese competition isn’t quite delivering according to the same quality standards. And so the streets of China are full of products of Volkswagen, GM, Toyota, BMW, etc., etc. Still mostly made in China, they make sure of that. That goes for cars at least. I haven’t quite been able to discover a similar trend for trucks and other commercial vehicles. It’s all home-brewed in that department. Brands like Foton, Dongfeng, JAC, Lifan, Wuzheng and FAW ring absolutely no bells with us, but cruise the roads here in great abundance. 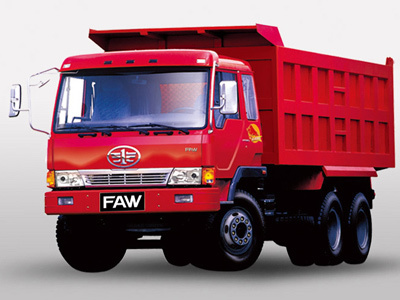 In fact, there are so many different truck brands in China that it’s just flippin’ ridiculous and there’s enough opportunity to consolidate for at least half a century. 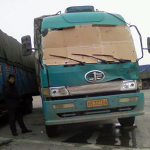 There is a trend about Chinese trucks that I have been able to make out though: they all look like heaps of scrap on wheels. Bits hanging loose, bits wobbling about and bits missing in their entirety, with or without the HSSE-hazardous sharp rusty edges to show where those bits should have been. 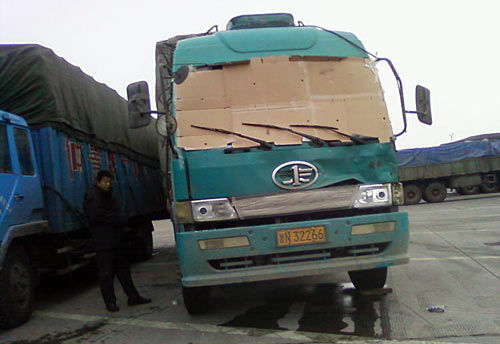 Of course the internet is full of pictures of how a Chinese truck is supposed to look, but it’s idiotically hard to find a photo of one that’s in a shape more in line with reality – and of course I haven’t had a proper camera on me. But, in the end I did manage to find you a nice comparison. 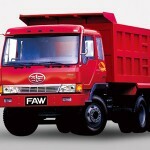 Two pictures: one of how an FAW truck is supposed to look and one of how one tends to see them in the wild. I don’t find it necessary to tell you which is which. Which Countries Have the Most and Least Cars Per Person? This entry was posted in News and Views and tagged bmw, car, China, FAW, GM, HSSE, JAC, LS, MoT, toyota, Volkswagen by The Flying Dutchman. Bookmark the permalink.